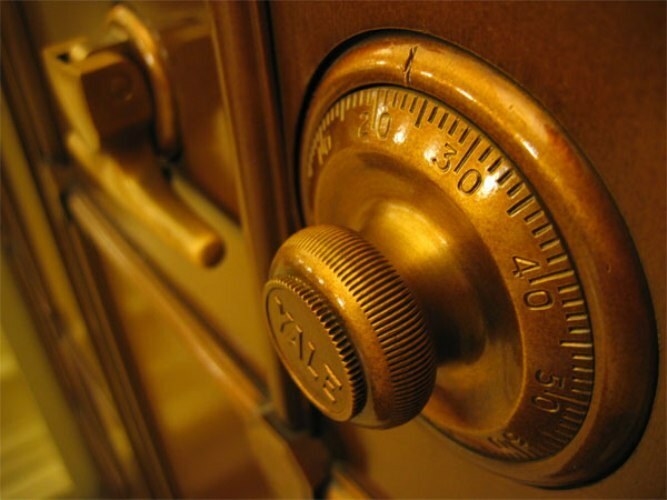 Safes are widely used in the daily activities of the various agencies. To ensure the safety of the contents and to establish, was not revealed whether the safe without the knowledge of the person responsible for storage of documents, used various types of seals. To seal the safes in several ways. The main requirement to the technology of sealing of the storage – reliability. For securing the safe that are not equipped with special devices, use of printing paper. Cut from a sheet of paper strip across the width of normal printing organizations (or slightly wider). Put on the sheet two or three impression of the seal used, for example, to send correspondence. On the strip, also specify the current date and signature of the person responsible for keeping the contents safe. Now glue the strip to the box so that it overlaps the gap between the door and the base (best if the paper seal closed the keyhole of the safe). Use also for sealing the box outboard the die. It can be made from wooden boards or a suitable plastic parts. On the inner side of the safe output two strands, one of which is mounted on the door, and the second, on the surface of the safe. Close the safe. Place into the recess of the die a piece of clay and push in the ends of the threads. On top of the clay put the imprint of the metal print used for sealing boxes. If no dice, use two pieces of clay and strong thread. Attach one piece of clay on the door and the second bar adjacent to the door. Close the safe. Attach pieces of clay to the thread and drown it in material, to form two small "cakes", and the thread passed inside them. Now apply a metal seal to both pieces of clay to remain clearly visible prints. If it is technically possible, equip a safe sealing device with a folding or retractable stock. For securing the safe also using the clay and metal printing. Close the safe, put on the door rod (or move it). Clay seal recess in the device. Attach to the clay stamp by making a clear and easy-to-read print.